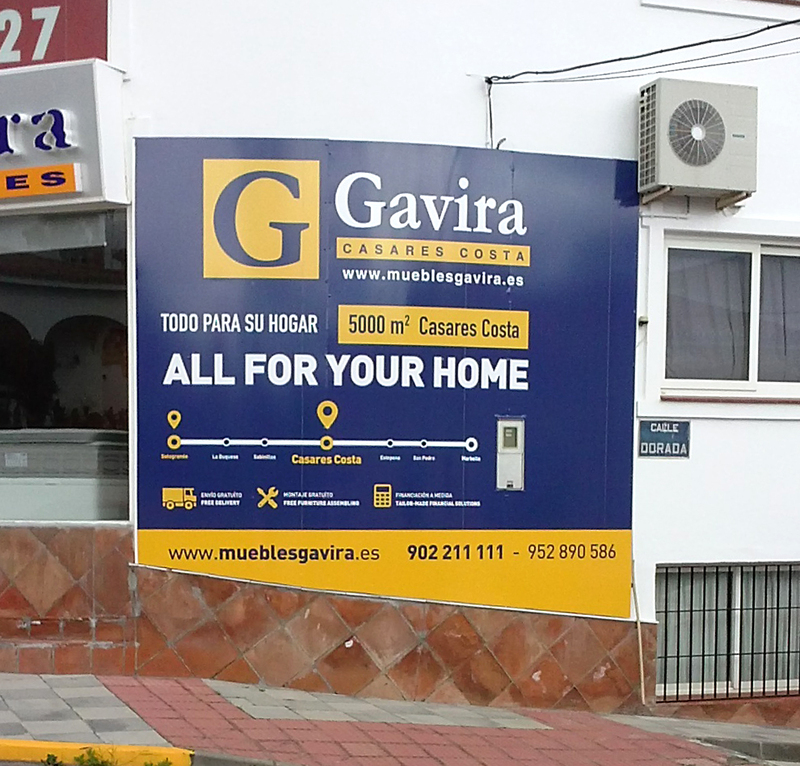 Muebles Gavira contacted us to promote their store located in Pueblo Nuevo de Guadiaro. 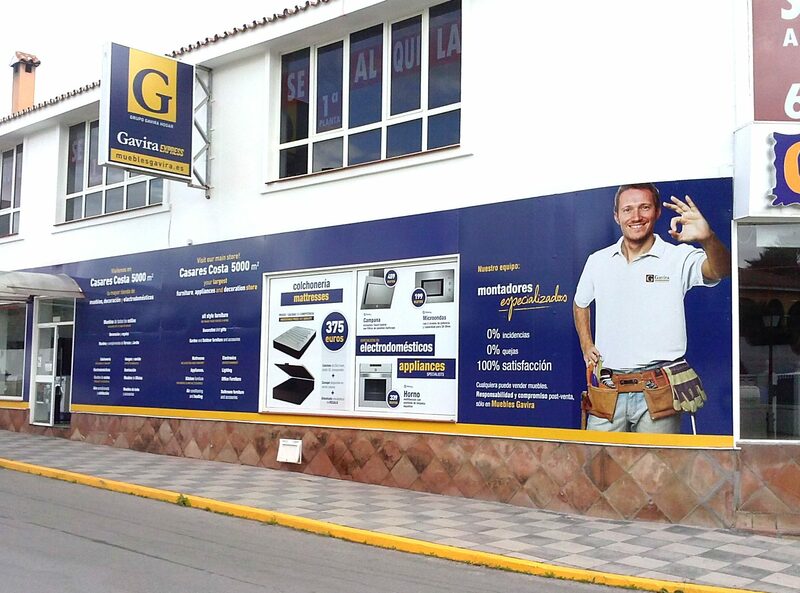 We designed the vinyl for the façade and showcases. 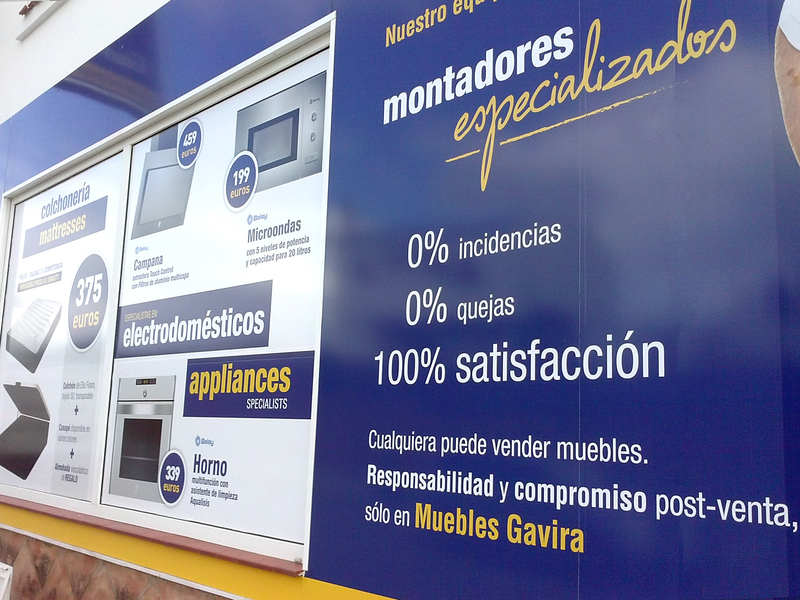 Now the store is much more striking and transmits a clear message about their products and services.